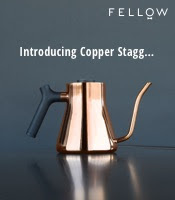 While I am a strong advocate for roasters who go above and beyond to not only produce a fine product but also educate the masses on better coffee practices, I will concede that most folks do not seem interested in that yet. Sure, people are more and more treating their coffee like fine wine and craft beer, but most people still consider their big-name coffees something more akin to a brand of ketchup. But to the credit of some coffee roasters who have long held a stigma of mediocre product in fancy packaging, there is a concerted effort to make better coffee available. 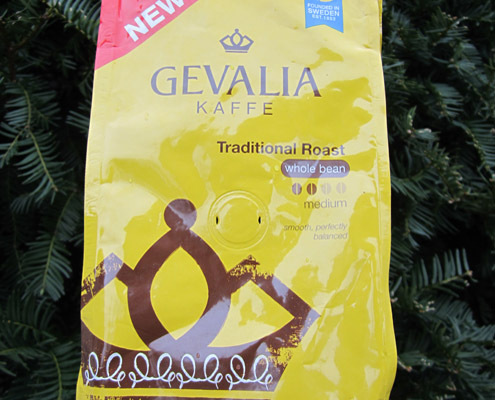 Take Gevalia, a long-time producer of coffee from Sweden who is best known for their "buy our coffee online and we'll give you a free coffee maker" approach. While the old coffee-&-coffeepot method still rolls on, they seem to have additionally dove into the practice of selling their beans whole bean with more of an emphasis on quality. Curious as to how this distantly roasted-&-packaged coffee held up under scrutiny, I accepted the offer to review a bag of their Traditional Roast whole bean. I brewed it in the usual three manners of drip, french press and siphon. The drip sent out a cup brimming with notes of cocoa, sweet corn, sourpatch kids, tea with cream and rice pudding. The body was light, mellow and the overall flavors were tasty. The french press held similar notes, with cocoa, honey, wheat, rice pudding, torte and cream amidst a medium body. Also a good cup though not as delicious as the first. The siphon brewed a coffee with wheat, cocoa, corn chip, rice, cream and a hint of ginger. Also satisfying, though a bit too mellow in flavor potency. To my chagrin, the only concerns I had about this coffee were that the flavors were a tad muted. But for a coffee coming from Gevalia, I was quite pleased (though since this one was sent right to me, I wonder if/how they manage to keep the coffee fresh with in-store bags). If you're in the market for a decent medium roast from a giant coffee roaster, give Gevali'a's Traditional Roast a try. Sourpatch kids? Is that a joke? If it's not, what flavor? Dead serious about the sourpatch flavor, though it didn't tastle like a specific flavor of sourpatch kid but had more of the general taste similar in all. 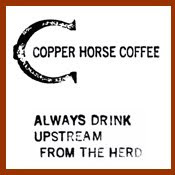 CC: Alaska Coffee Roasting Co.